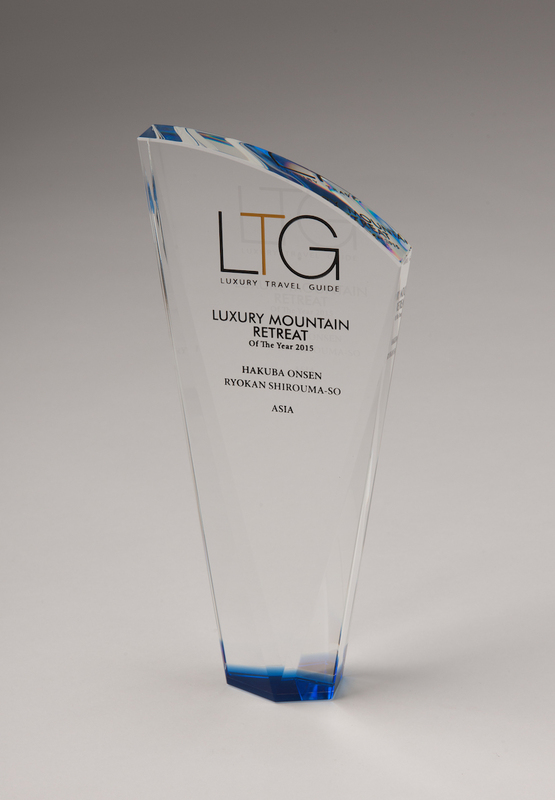 Thanks to your ongoing support, Hakuba Onsen Ryokan SHIROUMA-SO received one of the top prize [Global Winner of Luxury Mountain Retreat of the year] at the Luxury Travel Guide Awards. And receiving this award in the [Mountain] category of top prize is a first in world. This is once again thanks to your continued kind support. We do feel that the label [luxury] is a little too grand for our simple Ryokan. However, we believe these awards offer proof of the global esteem for Japan's wonderful Ryokan culture and it's beautiful mountains. Our team of experts have scoured the globe and travelled extensively in order to identify everything from the very best hotels, airlines and tour operators through to highlighting the most reputable transfer service companies. Each year the Luxury Awards are broken down into regions to coincide with the release of their respective Luxury Travel Guide. We highlight the pinnacle of luxury with our continent awards and individual country awards which reflect the range of products and services provided.